After winning the fight of the millennium against MMA champion Conor McGregor, boxing legend Floyd Mayweather remains undefeated, in his record breaking, highly-followed career! 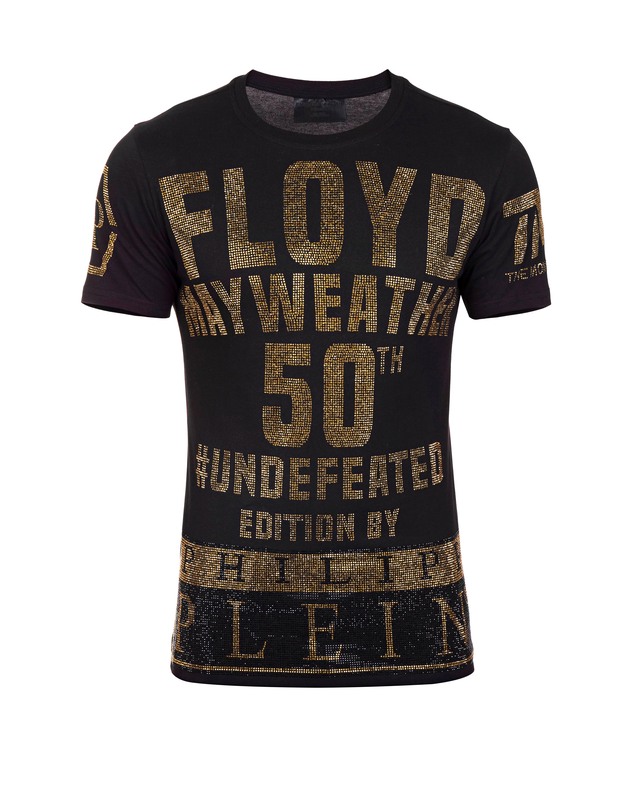 Celebrating “Money” Mayweather’s record breaking 50th win, and in commemoration of this last match and final victory of a historic career, Philipp Plein has just announced a “knockout” collaboration with the boxer by launching a capsule collection of two limited edition T-shirts: the “Floyd One” gold print and the “Mayweather One” gold and crystal T-shirts. 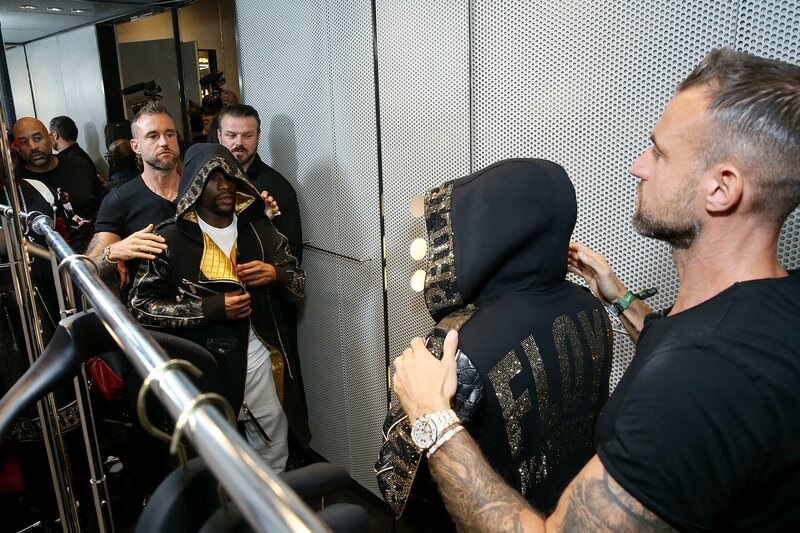 The champion entered the ring of his high profile match against McGregor looking like a ninja, in a custom-made robe designed by Philipp Plein (cover photo of this article). After defeating his opponent, he announced his retirement from boxing, which came as very sad news to his boxing fans. However, those can now proudly wear their fandom on their backs to assert their allegiance and “brag” about their fighter’s undefeated status. 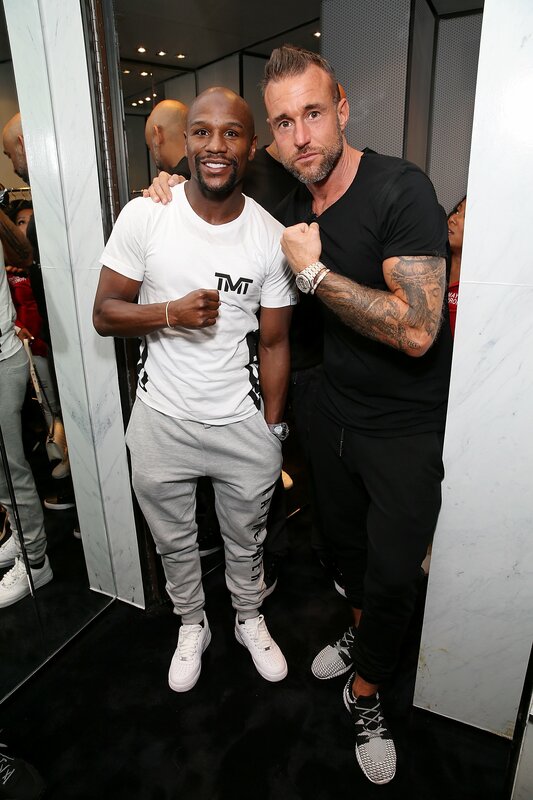 The T-shirts mark the beginning of a two-year fashion collaboration between the designer and the now-retired boxer, and are the first of four exclusive collections that will bear the Floyd Mayweather brand name across all Philipp Plein lines. Mayweather will also be making appearances at selected brand events worldwide. 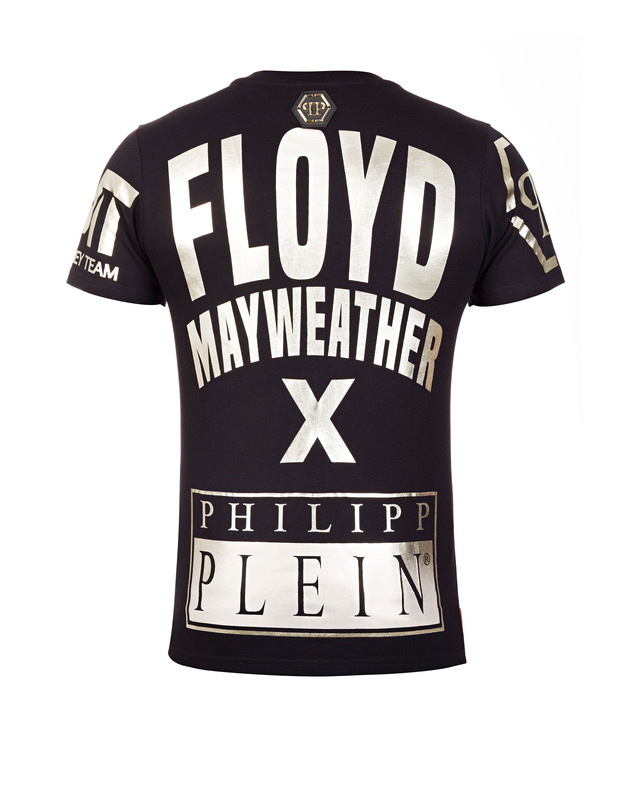 The Philip Plein x Floyd Mayweather T-shirts are already available online at Plein.com.